Georges is in his late 50s and lives in Misr Al-Qadima, not very far from the heart of what was once the quarter of the not so economically well- off Egyptian Jews, the better off living in the upscale neighburhoods of Heliopolis, Maadi and Zamalek. He runs a small business and sits in his favourite spot outside his small store, where a painting of the Virgin Mary hangs on the wall opposite one of the area's remaining synagogues. Georges looks across at the synagogue as he speaks. Georges was born and brought up in the neighbourhood and has always lived there. 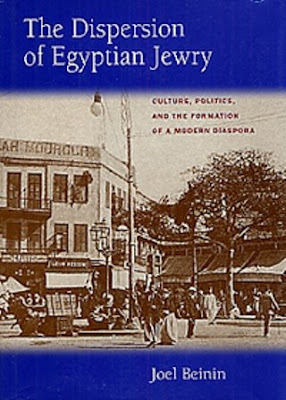 However, his initial reaction was simply to refuse to answer questions about the lives of the Jews who once lived in the area, or questions about the relations between Jews, Muslims and Christians in this neighbourhood that was once home to some 30,000 to 50,000 of Egypt's then 70,000 Jews. Even those Jews who term their leaving Egypt an experience of "coerced uprooting" never call the area a ghetto, instead insisting that "in Egypt Jews, Christians and Muslims were all best of friends and neighbours." This week there was an attempt to bring back at least a glimpse of that past, when the "First International Conference of Jews from Egypt" was scheduled to open in Cairo last Sunday. 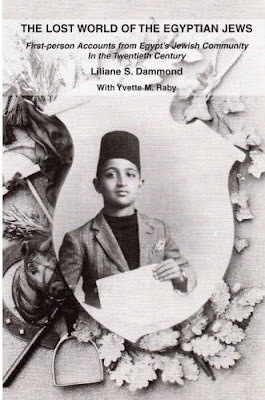 As part of the conference, a group of elderly Jews, mostly those who left Egypt for Israel in 1948, almost one third of the nation's Jewish community, or afterwards up to 1967, along with their children and grandchildren, was planning a four-day visit to Egypt. However, the conference was cancelled on Thursday when the five-star hotel that was to host the gathering and some of its meetings "sent its apologies" to the organisers, saying that it would be too difficult to host. Other major hotels in the city also turned down requests to host the group, Zamir told the Weekly in a telephone interview. As a result, "the whole thing was cancelled," she said.